Marriage requires compromise and acceptance of difficult situations if a couple wants it to last, and such sacrifice tends to increase as spouses age. People generally recognize that a spouse will change both physically and psychologically over time, and are willing to stay with the person despite these shifts. However, there may come a point where the change is so dramatic and profound that staying married is no longer feasible and divorce becomes a viable option. Everyone is familiar with irreconcilable differences as the no-fault basis for divorce, but Florida also offers an additional ground to justify divorce – mental incapacity. Divorcing someone in these circumstances may seem harsh, but other factors may make ending the marriage in this manner a reasonable choice. Children, especially if they are young, are likely to experience a considerable negative impact if continually exposed to a parent that is mentally incapacitated. Kim Kardashian is currently facing the dilemma of deciding whether to divorce from her husband, Kanye West, in the wake of his mental health breakdown in recent weeks. Divorcing someone on the grounds of mental incapacity is not the easy procedure offered by claiming irreconcilable differences, but is important to know about for those in this situation. The main reason someone might choose to use irreconcilable differences as a basis for divorce, even if their spouse is mentally incapacitated, is the extra time required for choosing the latter. Florida law mandates that to use mental incapacity as the reason for divorce, one spouse must first be declared incompetent for at least three years. Further, the incapacitated spouse is entitled to have a guardian to represent their interests, which adds another layer of complexity to the case. Most importantly, though, spouses that divorce due to mental incapacity are obligated to pay alimony because the other spouse is almost guaranteed to lack the resources for self-support. Before getting into how one is declared incapacitated, it is worth stopping for moment to consider why a spouse or family member would take this step in the first place. It seems to appear from the outside that this procedure would have little to no impact on the daily needs of the incapacitated person, which is probably true. But, it does give the spouse or family member the authority to make medical and financials decisions on behalf of the incapacitated individual, and may open access to programs that can assist with caring for the incapacitated person. This process starts with filing a petition with the court asking it to declare someone incapacitated. These petitions are addressed on an expedited basis, so the process moves somewhat quickly compared with other cases. Within five days of filing the petition, the court must appoint a committee of three medical professionals to evaluate the condition of the person named in the petition, and each must submit a report to the judge no later than four months after their appointment. Each professional must personally examine the individual and assess whether he/she has the ability to exercise certain legal rights, such as the right to marry, manage property, vote, make medical decisions and decide living situation issues. The court uses this information, along with its own impressions gathered by questioning the individual, to decide if some or all legal rights should be removed due to incapacity. This status continues indefinitely until lifted by a court in a future proceeding. 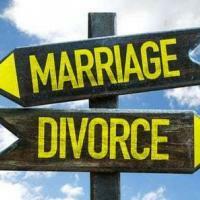 If you are considering divorce, regardless of the reason, consult a divorce attorney before filing a divorce petition. Divorce has important legal consequences, many of which are permanent, and should be approached under the guidance of a divorce attorney who can make sure your interests are fully considered and protected. The Tampa Bay law firm of the All Family Law Group works with clients to achieve their specific goals as they enter a new stage in life. Contact the Tampa divorce attorneys and family lawyers at All Family Law Group, P.A. in Tampa Bay at 813-672-1900 for a consultation at no charge or email us.